The fourth post bringing the exciting world of pathophysiology to light, tying together these two posts. I’m about ready to launch this series as its own blog! 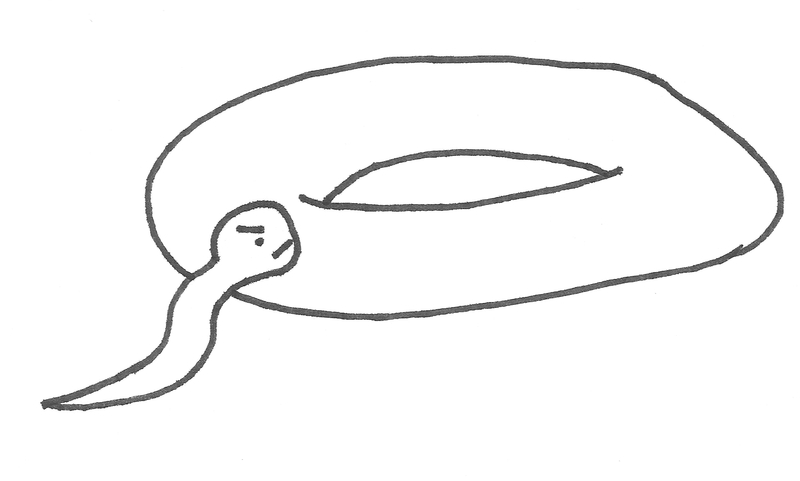 … once I find a name for it. If you have any ideas, please let me know in the comments! But, sickle cell disease hasn’t followed that pattern. In some parts of Africa, 40% of the people carry the trait. Whoa! There must be a piece of the puzzle we’re missing. In the 1950s, Dr. A.C. Allison saw maps like the ones below and wondered if there could be a connection. 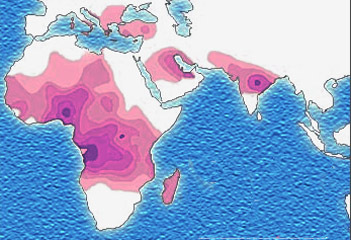 One map shows places where sickle cell anemia is common, and the other shows places where malaria was common. 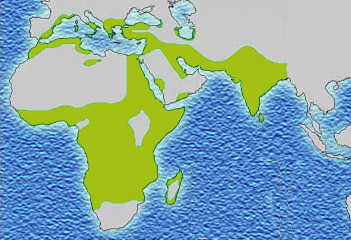 Distribution of sickle cell trait. See how similar they are? It turns out that having one copy of the sickle cell gene gives people some protection from malaria. People who had one copy of the sickle cell gene didn’t die of sickle cell and they didn’t die of malaria, so they survived to have children. Even though this pattern meant many kids inherited two copies of the sickle cell gene and died of sickle cell disease, enough people with one copy survived to keep the gene alive. Because humans have been fighting malaria for, well, all of human history, we’ve had time to develop a natural way to win the fight by changing our DNA. 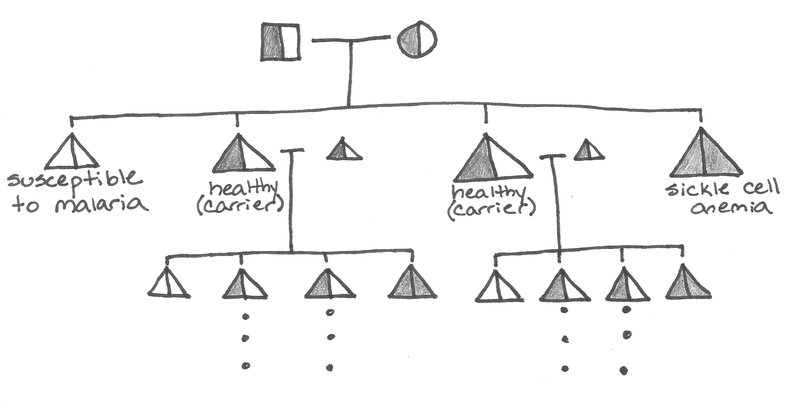 Inheritance of the sickle cell trait when malaria is around. Of the top parents’ four children – statistically speaking – one will have no sickle cell and will die young of malaria, and one will have sickle cell anemia and die young. 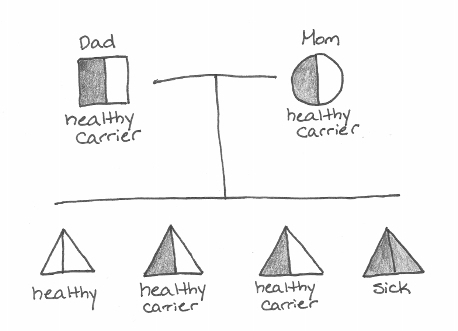 The two children who survive to adulthood will be carriers of the sickle cell trait. They will marry other carriers – since these carriers are likely to have survived, too – and the cycle continues. “Well, why? Why does having one copy of sickle cell protect you from malaria?” you might ask. It’s a question many scientists are asking as they search for a cure for malaria, and they haven’t quite settled on an answer. Let’s look at a few leading contenders. But first, some notation. People with one copy of the sickle cell gene are said to have sickle cell trait (not disease) or are heterozygotes for sickle cell. The prefix hetero- means different: heterozygotes have two different sets of instructions: a normal hemoglobin (HbA) and a sickled hemoglobin (HbS). I’ll call them heterozygotes for the rest of this post. Heterozygotes make some normal hemoglobin (HbA) and some sickled hemoglobin (HbS). In most circumstances, there’s enough normal hemoglobin to keep the person from being sick – the normal hemoglobin molecules prevent the sickle hemoglobin molecules from sticking together. There’s enough normal hemoglobin in a red blood cell of a heterozygote to keep the sickle hemoglobin from sticking together. Today we’ll be talking about Jane – Jill’s sister. Jane is a heterozygote for sickle cell. Here are some leading theories on why Jane and other heterozygotes tend to survive malaria. 1. Malaria parasites have a harder time entering the red blood cells of heterozygotes. Though this idea is popular among lay scientists, there’s actually very little evidence for it. Malaria parasites appear often inside heterozygote red blood cells when you look at them under a microscope. Malaria entering a red blood cell. 1. Sickled cells kill malaria parasites. This theory says that when infected red blood cells sickle (change shape), the malaria parasites essentially get squished and die. Good catch! It turns out that people with sickle cell disease (two copies of the gene, also known as homozygotes) sickle when oxygen is “normally” low, like in muscles and veins. 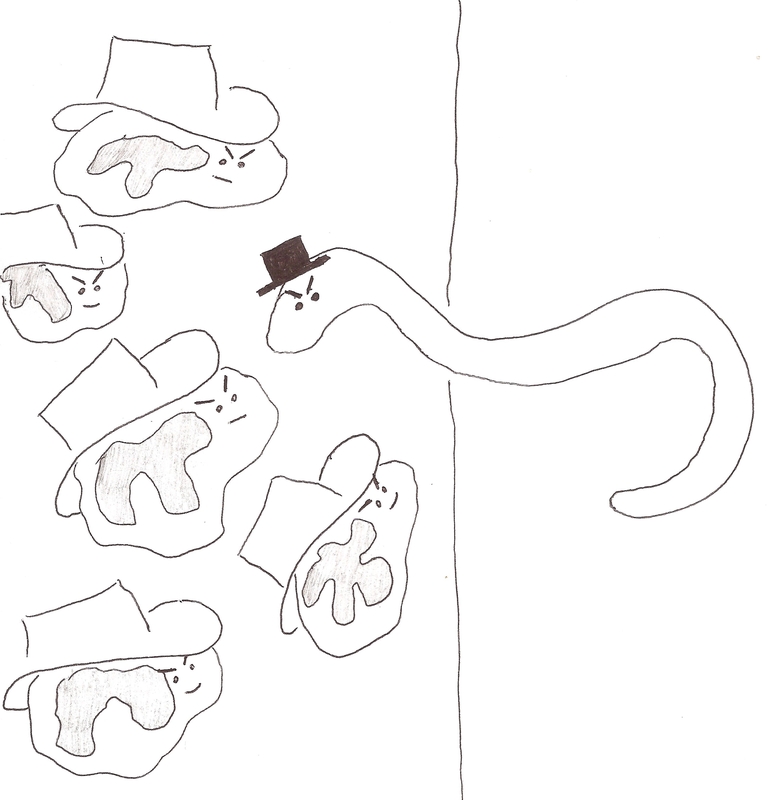 If the amount of oxygen gets really low, heterozygotes can sickle, too. 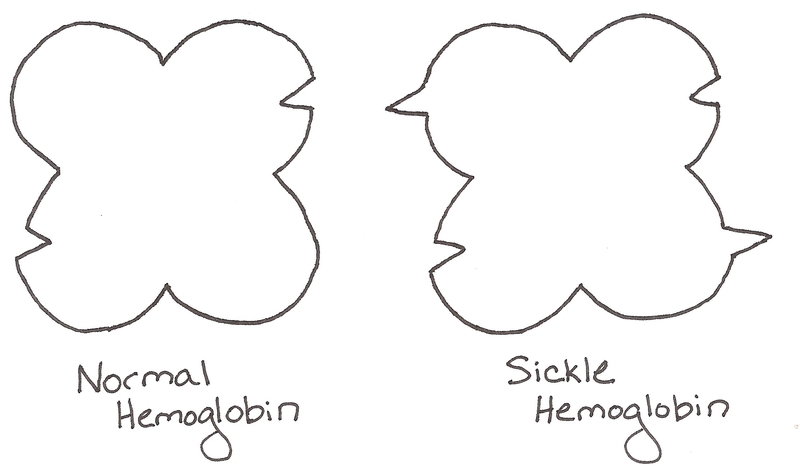 Sickle and normal hemoglobin molecules release all their oxygen when a malaria parasite breathes out carbon dioxide. As you’ll remember from the last post, releasing all that oxygen frees up binding sites on the sickle hemoglobin. 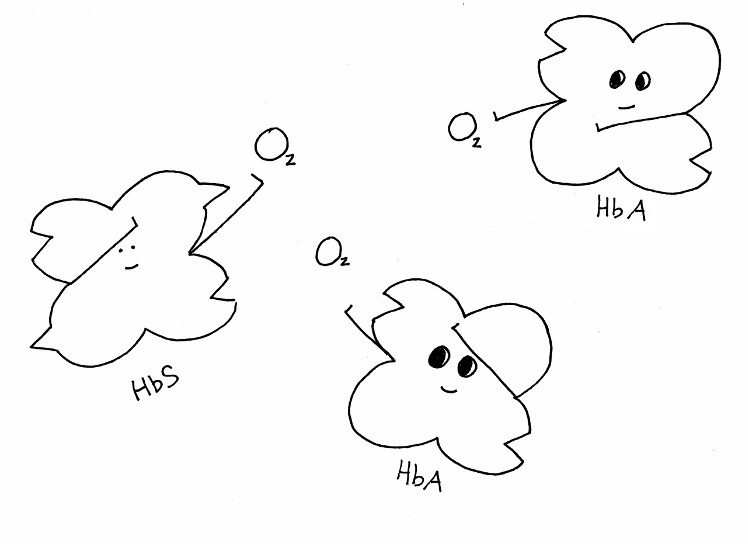 In this super-low oxygen state, many more of the sickle hemoglobin molecules become “sticky” than normal. When that happens, they pull together (leaving the normal hemoglobin out) and form the long strands that cause the cell to sickle. Thankfully, that tends to kill the parasite. Whew. Strands of sickle hemoglobin strangle the malaria parasite. 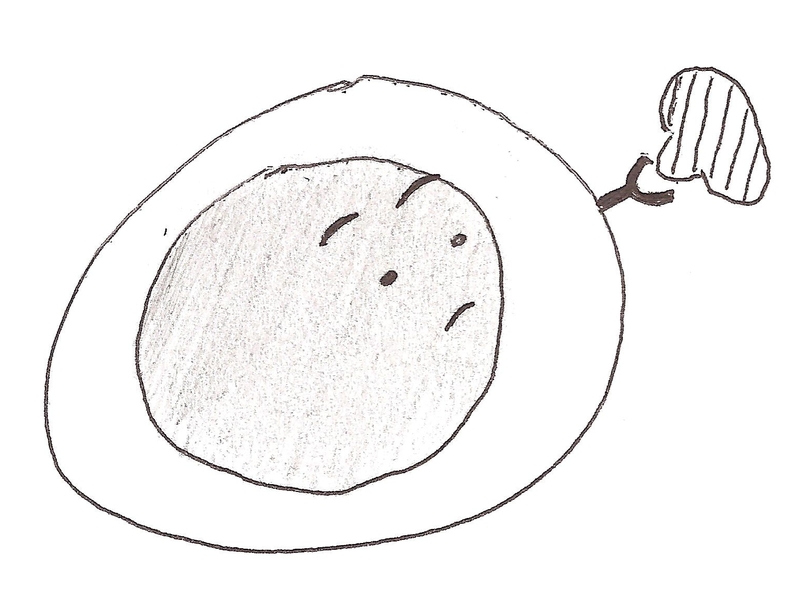 Normal hemoglobin enjoys watching its friends finally do something useful! 2. The body attacks the abnormal, sickled cells, and gets the malaria parasite for free. Last time, we talked about how the spleen tends to gobble up and destroy any cells that are sickled. When the malaria parasite causes the heterozygote’s cells to sickle, it also alerts the body to get rid of the cell. In getting rid of the sickled cell, the spleen kills the malaria parasite, too. Excellent. The spleen sorts through red blood cells and gets rid of the bad ones. 3. Infected red blood cells don’t stick to the blood vessel walls very well. When malaria infects a normal person, it tries to avoid destruction in the spleen by attaching to blood vessel walls (read more here). If enough parasites do this in an important place, the patient gets very sick. When it happens in the brain, we call it “cerebral malaria,” and most people with this condition die. In heterozygotes (and homozygotes), the red blood cell “ropes” that the parasite uses to latch on to the vessel wall are broken up by the long chains of sickle hemoglobin. Thus, fewer cells get stuck in the brain or lungs, and the patient can survive. Scientists are really interested in understanding this method better. While many heterozygotes still get sick from malaria, very few of them die – mostly because they don’t get cerebral malaria. 4. Heterozygotes survive until they develop immunity to malaria. Most people who die of malaria are young children. Their bodies have outgrown the protection their mother gave them when she nursed them, but they haven’t grown up enough yet to learn how to fight malaria on their own. We think that Jane’s advantages (listed above) give her just enough of a leg up that she’ll survive until her immune system can fight off the parasite. The body’s immune system fights off malaria. If you get 2 copies of the sickle cell gene, you tend to die young from complications of sickle cell. If you get 0 copies of the sickle cell gene, you tend to die young from malaria. If you’re just lucky enough to get 1 sickle cell gene, you’ll probably survive to have children, but you might pass down a deadly disease. Until humans can find a way to finally stop our ancient enemy of malaria, we’ll continue to pass down the sickle cell gene – a sharp weapon that can protect or kill. The original paper linking sickle cell and malaria: Allison, A.C. Protection Afforded by Sickle-Cell Trait Against Subtertian Malarial Infection. British Medical Journal. 1954; 290-294. A wonderful source for many of the mechanisms I discussed that also includes some ideas about why homozygotes for sickle cell are not protected from malaria: Luzzatto, Lucio. Sickle Cell Anaemia and Malaria. Mediterranean Journal of Hematology and Infectious Diseases. 2012; 4(1) e2012065, DOI 10.4084/MJHID.2012.065. 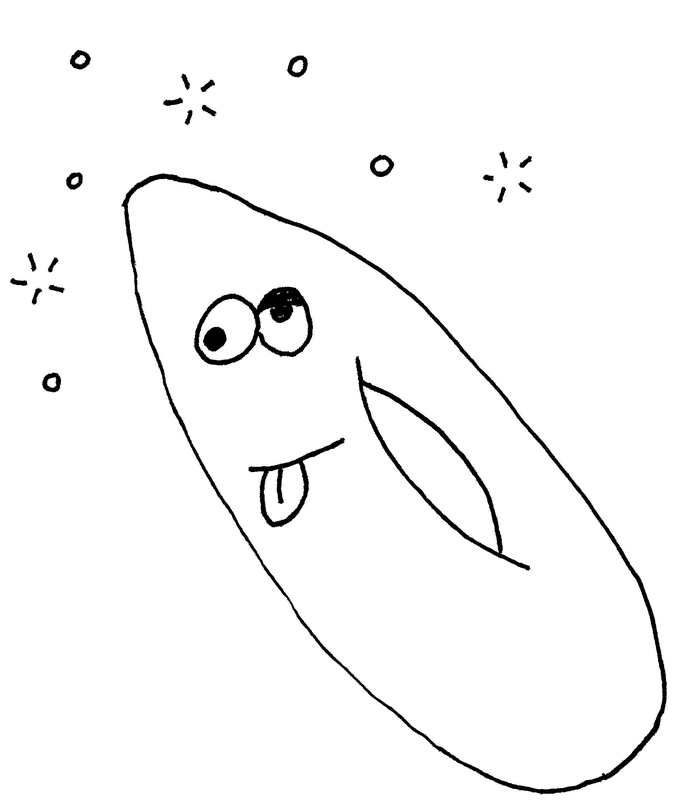 Mechanism of sickling of cells killing the parasite: Friedman, Milton. Erythrocytic mechanism of sickle cell resistance to malaria. PNAS. 1978; 75(4) 1994-1997. Mechanism of decreased RBC stickiness: Cyrklaff, Marek et al. Hemoglobins S and C Interfere with Actin Remodeling in Plasmodium falciparum-Infected Erythrocytes. Science. 2011; 334(6060) 1283-1286. Prevalence of sickle cell: World Health Organization. Sickle-cell anaemia. 2006. Details and mystery: What is Cerebral Malaria? New mechanism – enzyme induced by sickle hemoglobin protects against cerebral malaria: Mystery Solved: How Sickle Hemoglobin Protects Against Malaria. Science Daily. April 29, 2011. The second post bringing the exciting world of pathophysiology to light. Today, we’ll be learning about sickle cell anemia. Changing the DNA can have a lot of different effects. Sometimes, it does almost nothing – you use a blue block instead of a green one, but the dinosaur still works the same way. However, sometimes changing just one letter can have disastrous consequences: you grab a 4-length brick instead of a 2-length brick, and now nothing fits together properly. The mutation that causes sickle cell anemia comes from a single letter change in the DNA. In this case, the letter tells the body to use a sticky amino acid (valine) instead of the normal one (glutamic acid) in one part of the hemoglobin molecule. Now, hemoglobin’s job is to carry oxygen to your cells. To do that, it has one shape when it’s carrying oxygen and another shape when it has dropped the oxygen off. When a mutated hemoglobin has no oxygen, the sticky amino acid is exposed, and just happens to perfectly stick to another amino acid on the outside of another hemoglobin molecule. Hemoglobin is a four-lobed protein. Sickle hemoglobin has a sticky amino acid on two lobes… that perfectly fits with two holes present on both normal and sickle hemoglobin. These two amino acids stick together like Velcro, and other hemoglobin molecules start sticking to either end, causing a long chain of hemoglobin molecules to form inside the cell. Sickle hemoglobins form long chains when they’re not carrying oxygen. The molecules form long strings, which cause the red blood cells (which carry hemoglobin) to bend in the characteristic sickle-like shape (named after the sickle it resembles – note that there is no such thing as a hammered red blood cell). Changing that one amino acid to a stickier one is all the difference needed to create a debilitating disease. 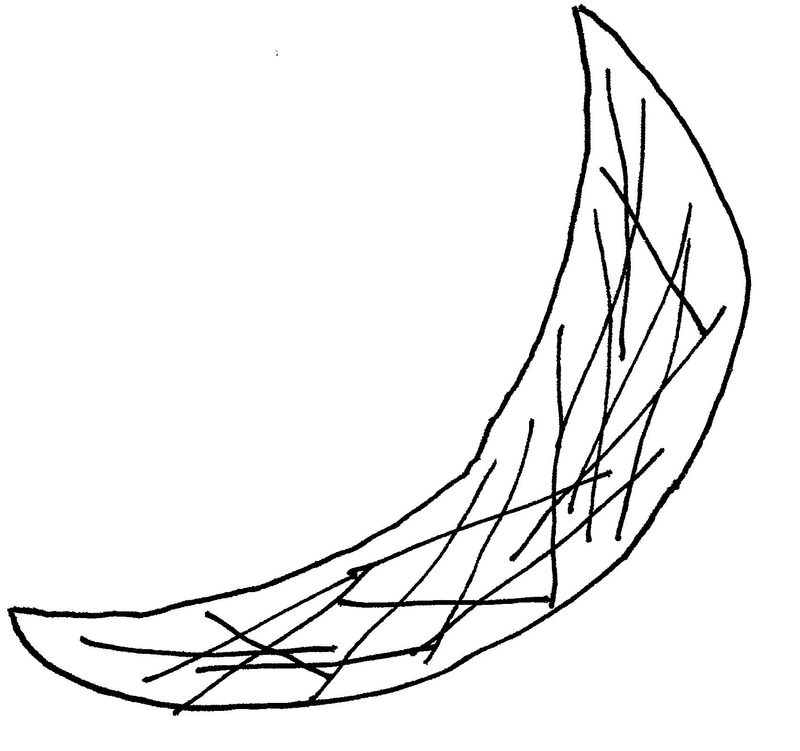 Long chains of sickle hemoglobin bend the red blood cell into a sickle-like shape. The mythical hammered red blood cell. To understand why that’s a problem, let’s say hello again to Jill – a girl living with sickle cell anemia. She’s going about her day – nothing unusual. Maybe she gets a little chilly, or maybe she hasn’t had much water. Something triggers the sickle hemoglobin molecules to stick together in her capillaries and veins. The molecules form long chains inside her cells. The red blood cells become hard and pointy, and they get stuck in the tiny capillaries that they would normally be able to squeeze through. These stuck cells prevent anything else from getting through the capillary, and Jill’s muscles and other tissues start to starve for lack of oxygen. (This effect is very similar to what happens during a heart attack or stroke.) The crisis is very painful as Jill’s body cries out for the oxygen it needs. Blood is flowing from left to right in this vessel. The sickled cells block blood from getting to the lower capillary. At this point, doctors can’t do much for Jill. They’ll provide her with pain medicine until her body can resume normal blood flow. In especially severe crises, doctors might give Jill a blood transfusion from someone with normal hemoglobin to help her body get oxygen to where it needs to go. At this point, you might ask, “Where does the word “anemia” in sickle cell anemia fit in?” (Anemia refers to a low concentration of hemoglobin molecules in the blood.) To understand, let’s journey to the spleen – that mysterious organ that’s never quite described when you’re learning about the body. One of the spleen’s functions is to filter out old red blood cells. In a normal person, red blood cells start to deteriorate after about 120 days. At that point, they’re not as flexible as they used to be, and they can’t squeeze through the spleen’s tiny capillaries. 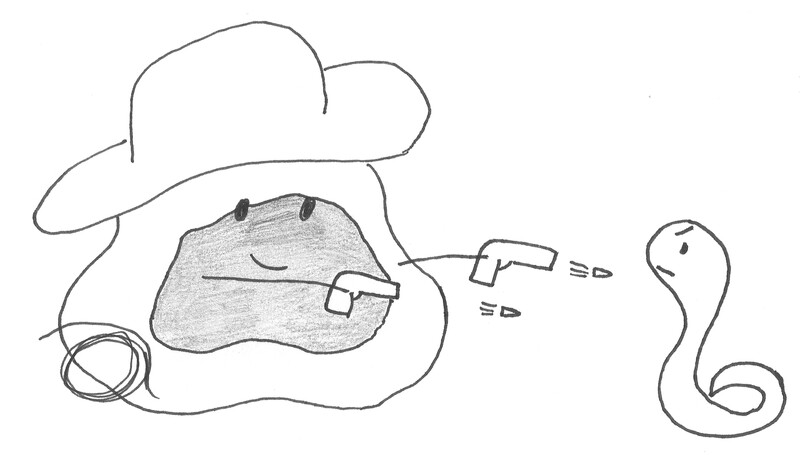 The spleen grabs the old red blood cells out of circulation and recycles their iron. Unfortunately, in patients with sickle cell, all the red blood cells act “old.” The repeated cycles of the hemoglobin molecules forming long chains inside the cell and then breaking up again makes the outside of the cell very stiff. After only 10 or 20 days of circulating around the body, these stiff, sickled cells get caught in the spleen and killed. This high rate of turnover means that the body just can’t produce enough red blood cells to keep up, and the patient remains in a stable state of anemia. An “old” sickled red blood cell tries to squeeze through cells in the spleen. The spleen suffers in this bargain, too. Just like we saw above, sickled red blood cells can block the capillaries of the spleen. In fact, these capillaries get blocked more often than those anywhere else in the body because they are so small. 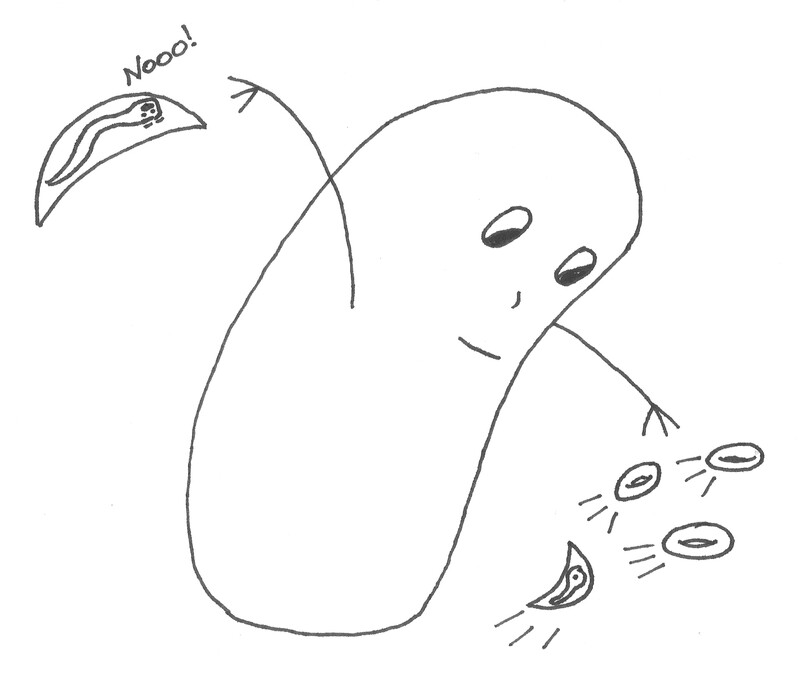 Eventually, parts of the spleen start to die from lack of oxygen. That’s a problem: the spleen’s other function is to help fight bacteria by storing white blood cells. When those parts of the spleen die, the body is less able to fight off invading bacteria. In Africa, up to one half of untreated children with sickle cell die before they turn 5 because of this reduced ability to fight infection. In some cases, a red blood cell gets so stiff that it breaks apart inside the blood vessel long before it gets to the spleen. The hemoglobin molecules are now floating free and bumping up against the blood vessel wall. These free hemoglobins gobble up molecules of nitric oxide. That’s a problem, because the body uses nitric oxide as a messenger to tell the blood vessels to open up wider. Without it, the vessels stay constricted, which sets the body up for another painful crisis like the one Jill just experienced. Free hemoglobin molecules near the vessel wall scavenge nitric oxide (NO). What can we do? There are actually a lot of inventive ways to combat sickle cell. Children are often given antibiotics until they’re 5 years old to help fight off life-threatening infections like pneumonia. Patients experiencing painful crises, like Jill, can take pain medications, supplemental oxygen, or blood transfusions from someone with normal hemoglobin. Interestingly, babies are not affected by sickle cell anemia. Fetuses and infants produce a special type of hemoglobin called, appropriately, fetal hemoglobin (HbF). This fetal hemoglobin grabs on to oxygen much tighter than an adult’s hemoglobin does so that the baby can grab oxygen from its mother’s blood. Fetal hemoglobin takes oxygen from maternal hemoglobin when the baby is in the womb. Infants continue to produce HbF until they’re about 6 months old, when their adult hemoglobin (normal or sickled) takes over. Researchers have found certain drugs (hydroxyurea) that trick the body into continuing to produce fetal hemoglobin well into adulthood. For patients with sickle cell anemia, this extra production of a normal hemoglobin is enough to banish most of their painful symptoms. The story of why sickle cell disease has persisted through the generations instead of dying out is a fascinating one – and one that will be saved for a later post. For now, let’s remember the power of the little guy, for good or evil. Platt et al., Hydroxyura enhances fetal hemoglobin production in sickle cell anemia. Journal of Clinical Investigations. 1984; 74(2): 652-656. Ashley-Koch et al., Sickle Hemoglobin (Hb S) Allele and Sickle Cell Disease: A HuGE Review. American Journal of Epidemiology. 1999; 151(9): 839-845. Redding-Lallinger and Knoll. Sickle Cell Disease – Pathophysiology and Treatment. Current Problems in Pediatric and Adolescent Health Care. 2006; 36: 346-376. As promised, a post bringing the exciting world of pathophysiology to light. Today, we’ll be following an anaphylactic reaction to an allergen. Unfortunately, her white blood cells are getting curious. 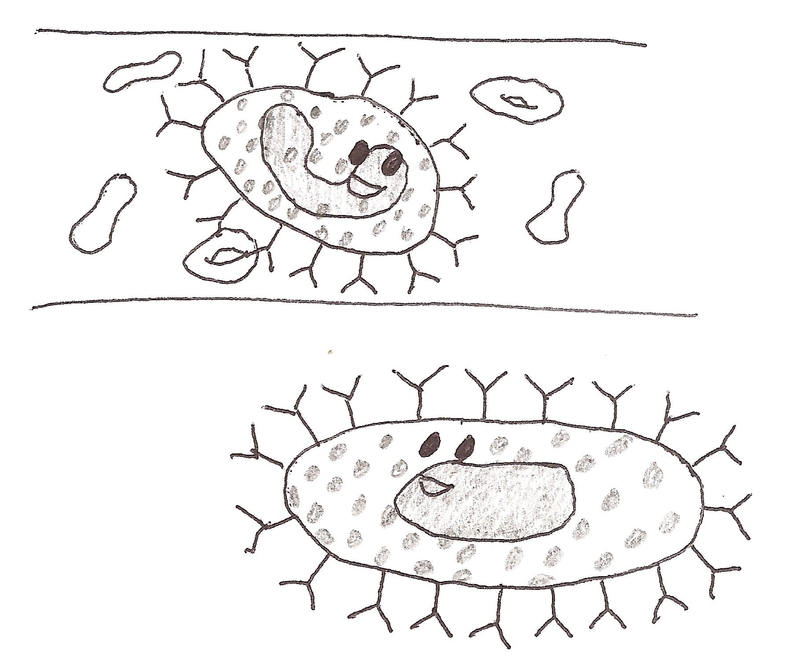 One of them (a B-cell lymphocyte) just happens to have the perfect shape to fit onto a molecule of the antibiotic. This moment is where all the trouble starts. While Jill finishes up her course of antibiotics, that B-cell is busy. He thinks that the antibiotic is a foreign invader intent on destroying Jill! He sounds the alarms by notifying his fellow-defenders, the T-cells, and begins to produce antibodies against the antibiotic. Antibodies are small, Y-shaped proteins. They bind to a specific region of an invader, like a bacterium, parasite, tumor cell, or allergen, very strongly – like a lock fits with one particular key. 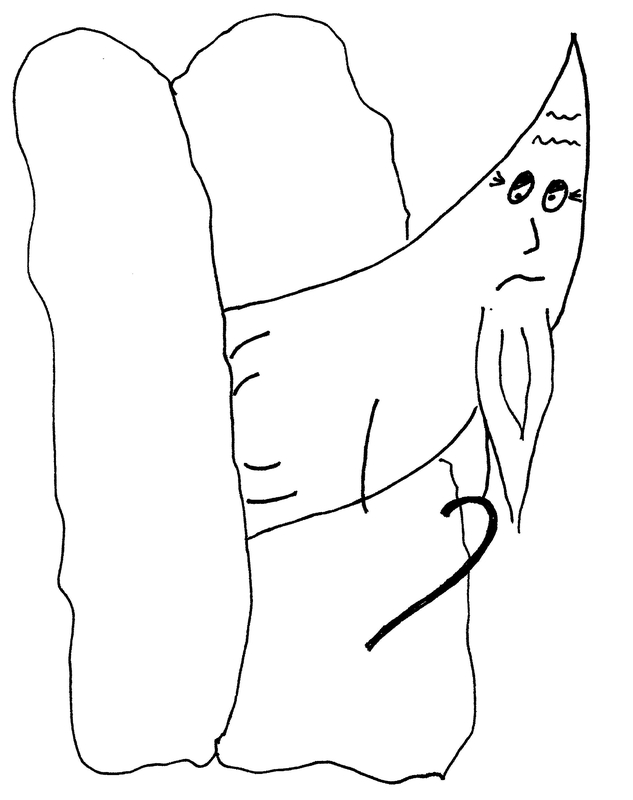 Mostly, they float around in the blood stream watching for an invader. When they find one, they surround it, and that alerts passing white blood cells to gobble it up. Antibodies are on the lookout for particular invaders. 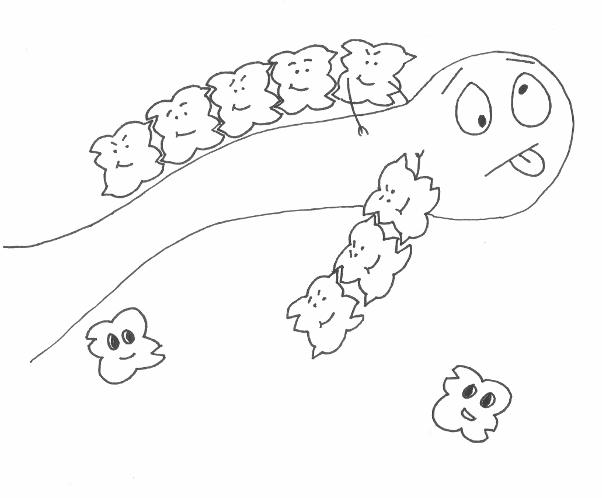 Antibodies surround a bacterium, alerting a passing neutrophil. The neutrophil swallows and destroys the offender. 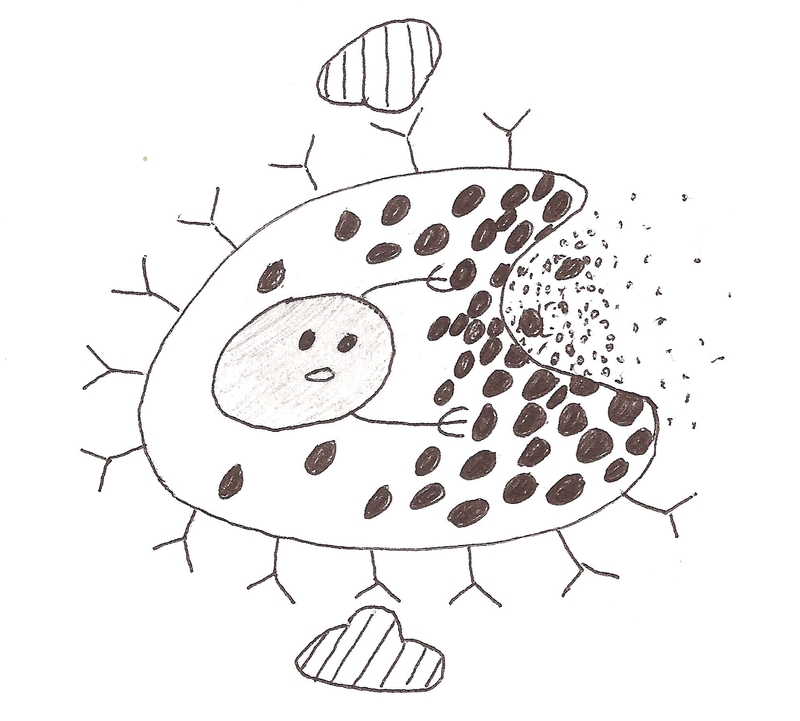 Some antibodies – like the one we’ll be discussing – prefer to be attached to cells (they’re called IgE antibodies). So, the B-cell produces antibodies against our “evil” antibiotic. These antibodies float around in the body until they find either a mast cell or a basophil, and then they stick to the cell membrane. Basophils and mast cells are types of white blood cells. They contain Jill’s only stores of histamine in small granules. Basophils patrol the blood stream, but mast cells prefer a more settled life inside tissues like the skin. Basophil in the bloodstream says hello to mast cell chilling in the skin. “Nice accessories.” Antibodies adorn the cell membrane, and dark granules inside the cell store histamine. Then, Jill gets sick again. Her doctor prescribes the same antibiotic, and she takes it. Shortly after the medication hits Jill’s digestive system, it’s absorbed into the blood stream and sent through the whole body. The antibiotic is hunting for bacteria to kill, but the antibodies are hunting for it! The antibiotic flows past a mast cell, and the antibodies grab it out of the blood stream. This binding alerts the mast cell that something bad is happening, and it responds by sending out all of its little granules full of histamine. Histamine is responsible for all of Jill’s misery in the coming days. The cells lining her blood vessels contain receptors for histamine. When the cells recognize the histamine, they dilate the blood vessels, making her skin turn red. They’ll also increase the permeability of the vessels: this mechanism is designed to let out white blood cells, the defenders, so that they can get to the site of the invasion. The increased permeability will let out extra fluid as well, causing her skin to swell. Finally, in a mechanism that is very poorly understood, histamine also causes extreme itchiness. Thus: HIVES. Hives on the arm, from Wikimedia Commons. Fortunately for Jill, this could be the worst of it! Most allergic reactions like this, though severe, won’t progress to anaphylactic shock. I see, you’re a MythBusters fan. You like to see things blow up at the end of the episode. You want to see her go into shock. You terrible, terrible person. The difference between anaphylactic shock and the anaphylactic reaction I just described, which basically only involved hives, is only a matter of degree. If more histamine is released, or if Jill’s cells are more sensitive to it, bad things happen. The permeability of blood vessels can happen in the lungs, too, instead of being limited to the skin. This permeability causes swelling in Jill’s throat, making it hard to breathe. If the swelling keeps going, Jill could die. Or, she could die from a loss of blood volume. Though Jill isn’t bleeding, she’s losing plasma throughout her body due to the leakiness of her blood vessels. And, although localized dilation of blood vessels isn’t a problem, dilation all over is. Essentially, Jill has dramatically increased the volume of her “pipes” without increasing the amount of fluid flowing through them. That means that very little blood returns to the heart, so it has almost nothing to pump to vital organs like the brain. Jill’s heart starts trying to pump faster and faster to make up for the lower volume being pumped each time, but it’s not enough. Jill is dying. To answer that question, we take a journey to the tropics. Ahh, the sun is shining, the birds are singing, and the parasites are trying to invade. It turns out that people in the tropics have a much higher concentration of IgE – the type of antibody that causes the allergic response – than people in the US. Scientists think that the system is designed to recognize invading parasites and cause, essentially, localized hives. As the parasites are trying to invade a person’s skin, they would be immediately greeted with a host of white blood cells (brought to the site by the leaky blood vessels). White blood cells greet a parasitic worm trying to invade the skin. Thankfully, those of us in the US and many other developed countries don’t have to deal with invading parasites. But, that leaves our IgE system with nothing to do! So, it looks and looks and looks for parasites, finds an antibiotic or a piece of shellfish, and says, “Eh, close enough. ALARM! ALARM!” Since the medication or food was in the blood stream, the localized response that was supposed to defend against a parasite happens all over your body, leading to large patches of hives or anaphylactic shock. Okay, back to Jill, who, may I remind you, is dying. Her friend Jack has recognized Jill’s distress and rushed her to the nearest ER. The first thing they do is give Jill a shot of epinephrine (also known as adrenaline). This molecule is designed to pump you up for fight or flight, and it does so by constricting your blood vessels, which gives your heart more blood to pump. For Jill, it will help counteract the effects of histamine. Her heart will receive more blood from her body, and it will be able to send the blood to Jill’s brain and other organs. Doctors may also put a tube down her throat to help keep her airway open while the epinephrine does its job. After the initial crisis is over, Jill will be treated with anti-histamines. Yes, your good old friend Benadryl. Benadryl keeps histamine from binding to the cells lining blood vessels, preventing them from dilating and leaking. She might also be given steroids, but their use is highly debated. Some research claims that steroids do no good whatsoever; other research suggests that steroids can help keep the immune system from continuing to react against the allergen or help reduce the swelling that anaphylaxis caused. Thankfully, in a few days Jill will be back to normal. And she’ll never take that antibiotic again. Did you like this post? Let me know – stories like this might become a regular feature on the blog. An Introduction to Human Disease by Leonard Crowley (7th ed, 2007). Atlas of Immuno-Allergology by Jacques Centner and Alain L. de Weck (1995). Immunology by Ivan Roitt, Jonathan Brostoff, and David Male (6th ed, 2001). And thanks to Nice Girl Notes for sketch inspiration!